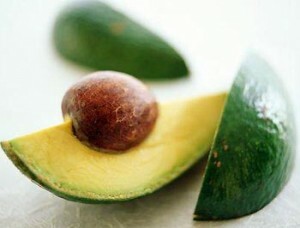 With the delectable fruit drooping from trees, we’d be fools to let avocados go to waste this season. The simplest thing to do would be to make vats of guacamole and buy Costco-sized bags of tortilla chips and go to town…with a few of your closest friends of course. But to change it up this summer, we’ve dug up a few guacamole variations from around the world. 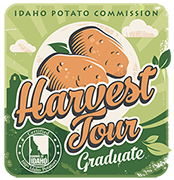 The California Avocado Commission is a great resource for anybody with an avocado tree or a local store that sells them at a good price because of all the free recipes that’ll allow you to go beyond your standard guacamole. Not that there’s anything wrong with guac…in fact, it’s easily one of our favorite things in the world! Without further ado, we give you eight terrific guacamole recipes you can enjoy all season long. Basil and Parmesan cheese will transport your guac to the Italian countryside. 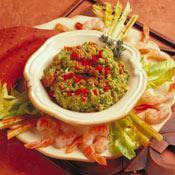 This Italian Guacamole would go great with a little Caprese salad on your next Italian night. Bringing together some classic Spanish flavors, the green olives, almonds and Spanish sherry in this Spanish Guacamole will be a welcomed accompaniment to any tapas platter. 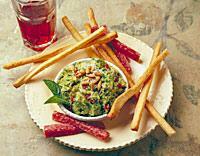 Any crusty baguette would be the perfect setting for this French Guacamole, with its vermouth and fresh tarragon. 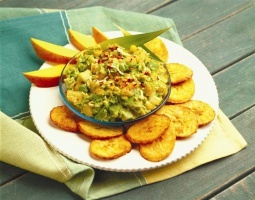 Mango and Shredded coconut make this Caribbean Guacamole a tropical twist. Make this the next time you decide to grill fish. The saffron in this Argentinean Guacamole is decadent enough for your next dinner party…especially if you’re the only one attending! Hey, good saffron aint cheap! You’ll bare your, um, appetite for this Cajun Guacamole. It’s like a taste of Mardi Gras*, without losing your shirt. *Beads not included. Pistachio nuts and fresh goat cheese can make this guac your next favorite. This California Guacamole may be competing with your own California Guacamole recipe, but before you dismiss it, pick up some fresh ingredients the next time you’re at a farmer’s market. 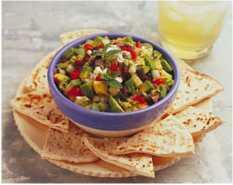 We hope this has given you some ideas on how to change up your family’s guacamole to something really special. If you’re thumbing your nose at these 8 marvelous guacamoles, then submit your own guacamole recipe to info@latinofoodie.com. Avocados are in season so get `em while you can!